All prices are quoted in Thai Baht. All prices for goods purchased from within Thailand do include 7% VAT tax. All prices for goods purchased from outside Thailand do NOT include any taxes. By entering and completing an order at this store the customer expressly agrees with and accepts all of the terms and conditions stated herein. AMI Records Online Store is facilitated by the E-commerce platform ECWID. For quick & safe transactions AMI Records Online Store accepts PayPal & major credit cards. The complete transaction is handled by the PayPal secure server system. PayPal is responsible for handling the credit card and other payment details. If you have not purchased anything through PayPal before, you will be able to register, or you may purchase by credit card without registering. Following your purchase via PayPal and/or Credit Card, and once your payment has been accepted, you will receive an email from us and/or ECWID with a purchase confirmation i.e. a download link for Digital Products. For orders within Thailand: A shipping flat rate of 100 THB will be charged to al orders. Orders within Thailand are shipped via EMS and[or KERRY and usually arrive within 1-2 days within the Greater Bangkok area and within 2-3 days in the provinces. For orders from outside Thailand: Shipping charges will be added according to the weight of purchased goods.All goods are shipped via registered airmail during working days from AMI Records head office in Bangkok, Thailand. Please allow up to10 days (USA and Canada) for international delivery. All prices are subject to change without notice. Digital Delivery: Links for Digital Downloads will be sent to your provided Email address. 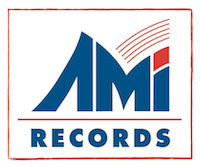 By entering and completing an order at AMI Records Online Store the customer expressly agrees with and accepts all of the above terms and conditions.